Posters or canvas printing of a Plain Tiger Butterfly extracting nectar from an Ixora flower. Widespread throughout Asia and Africa, the Plain Tiger Butterfly was featured in a 3500 year old Egyptian fresco in Luxor, believed to be one of the first butterflies used in art. Plain Tiger Butterfly extracting nectar from an Ixora flower. 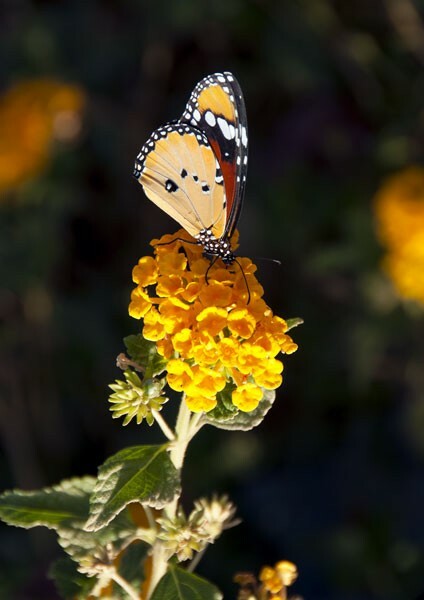 Widespread throughout Asia and Africa, the Plain Tiger Butterfly was featured in a 3500 year old Egyptian fresco in Luxor, believed to be one of the first butterflies used in art. Plain Tiger Butterfly (Danaus chrysippus).